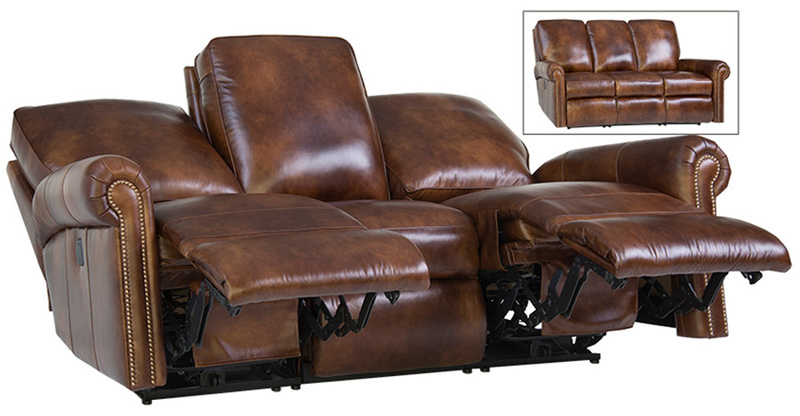 Shown in 6710 leather with optional motorized recliners on each end. Also available in fabric. See store for additional fabric and leather selections. Standard with 3-position recliners with handles. Select pieces available with a motorized mechanism or a swivel glider mechanism. Available in multiple configurations. See store for details.